“We would like to recommend Shelbi Dyer as our real estate agent. Recently we decided to go out looking on a Saturday for a rental house and unexpectedly found one that very day. We called Shelbi that afternoon and she came over Sunday afternoon. Because she understood the motivations of the seller, she recommended a bold move for the offer, which we followed. 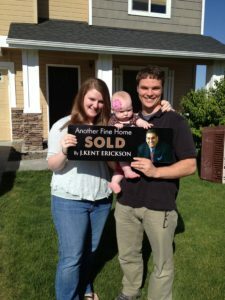 By the end of that same evening, Shelbi was able to negotiate an agreement to purchase the house for under asking price in this Denver market! There were four of us she had to “handle” when writing the offer. She did such a great job listening, being very patient with all our comments and organizing our thoughts and preferences. She is very articulate, very knowledgeable in real estate workings, has a great sense of humor and never got frustrated with all my calls of confusion on the day of closing. I really appreciated that! We are beginning our search to find a new home for us and she is our real estate agent. Wouldn’t consider anyone else! As a real estate videographer I’ve observed from a different point of view the way that J.Kent presents the homes he sells. Very few agents I’ve worked with invest as much time, commitment, and energy into their job. Truly a quality operation with genuine passion. 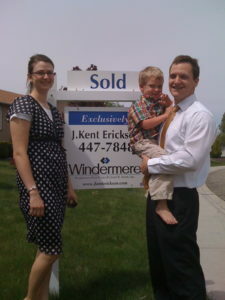 Our home sold in one day! 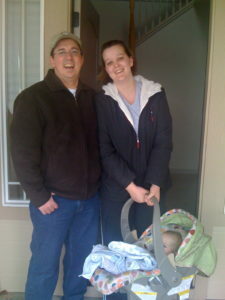 Offers great advice and puts in as much time and effort as it takes when you’re searching for a new home. It’s emotional and he is patient about that. Looking for a real estate agent who will truly represent YOU? You’ve just found him – Kent Erickson! Staunch integrity, super professional, keeps YOU as his priority. You need not search further.